For a guy who's Twitter handle is "Top 5 Mario Kart N64 Players in the world". He can now add "PGA Tour Winner" as Canadian Nick Taylor fired a 6-under 66 in the final round of the 2014 Sanderson Farms Championship at the Country Club of Jackson, to win by two strokes over Boo Weekley and Jason Bohn. What's more impressive is this was Taylor's 13th PGA Tour event in which he rallied from four shots down to become the third first-time winner on TOUR this year. Taylor has some pedigree, a top amateur in university, Taylor turned professional in 2010 but only qualified full-time for the PGA Tour this year. "It's been a whirlwind of a summer; six months ago I was struggling." No kidding and the $720,00 cheque will help as well. In the second round of the 2014 Sanderson Farms Championship, Nick Taylor hits his approach shot close, nearly carding an eagle on the short par-4 15th hole. 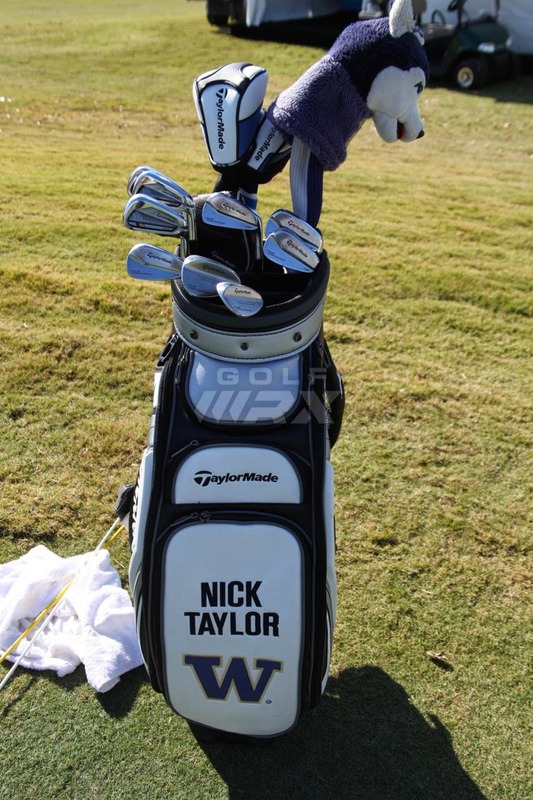 GolfWRX has some great WITB photos of Nick Taylor's winning clubs, be sure and check them out.